With music by Nira Chen and an arrangement by Joshua Jacobson, director of the Zamir Chorale of Boston, this Israeli song will surprise you! This is not the way you remembered this song! It is particularly nice as a companion piece for Erev Shel Shoshanim. 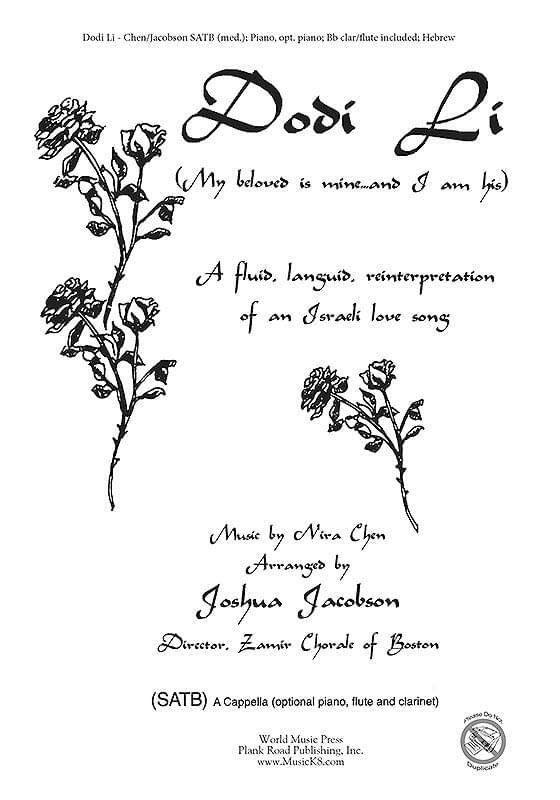 Hebrew with optional piano, clarinet, flute, and percussion parts; SATB. A flute part and a clarinet part are included.